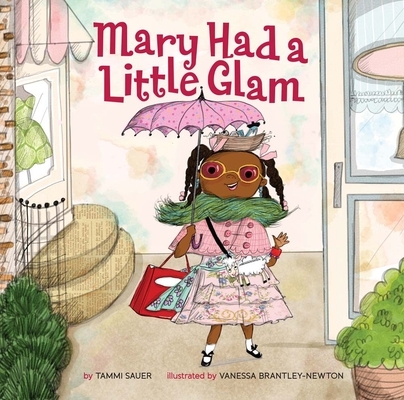 This little Mary has STYLE In this fun take on Mother Goose, fashion-forward Mary helps some of childhood's most beloved characters go glam. From the kid who lives in a shoe (and dons some fab footwear, too) to Jack, who breaks his crown but gets a great new one, Mary's school friends look fantastic in their finery. But are they now too well dressed for recess? Not to worry--Mary always shows her flair for what to wear. Tammi Sauer is the author of Chicken Dance, Bawk and Roll, Cowboy Camp, and Your Alien, which has earned starred reviews from Publishers Weekly and Kirkus (all Sterling). She is an active blogger (tammisauer.com) and highly involved in the children's writer community, in addition to being a great promoter of her own books. Tammi has worked as a teacher and library media specialist and now lives in OK with her husband and their two children. Her local indie bookstore, Best of Books, in Edmond, OK, has named July 9th Tammi Sauer Day. Follow her on Twitter at @SauerTammi. Vanessa Brantley-Newton is a self-taught illustrator whose passion for children's books began when she came across Snowy Day by Ezra Jack Keats as a child in the 1960s. Snowy Day marked one of the first representations of black children in picture books, and seeing a character that looked like her and lived in a neighborhood like her own was a turning point in Vanessa's life. Vanessa hopes to inspire young readers as Keats did for her and a generation of children. She is the author and illustrator of Let Freedom Sing and Don't Let Auntie Mabel Bless the Table (both Blue Apple Books), and has illustrated numerous children's books including One Love and Every Little Thing (both Chronicle), words by Bob & Cedella Marley, and Presenting Tallulah (Aladdin), written by Tori Spelling. Vanessa lives in Charlotte, NC, with her husband of 20 years, their daughter, and a very rambunctious cat named Stripes.